...with the taste and texture of good Chamorro bread. There is something different and wonderful about Chamorro sweet bread. 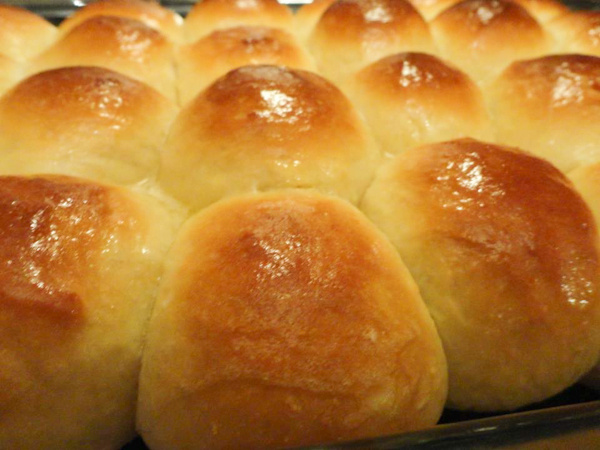 These are little dinner rolls shaped so perfectly! I remembered them at parties: foil-lined, half-soda boxes filled with bread, golden brown on top, with a butter-sugar glaze. Some folks used lots of buttery-sugary goo, others kept it light. Either way, Chamorro sweet bread has a distinct taste, texture, and smell. 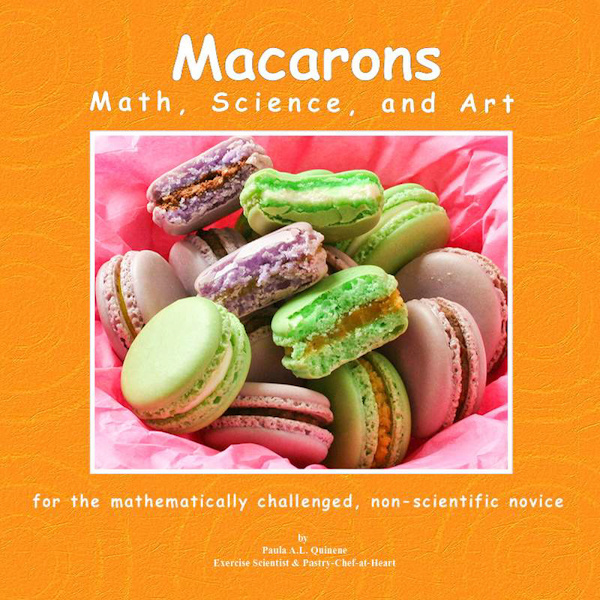 I could not find a “Chamorro” sweet bread recipe so to speak. I did some on-line research on sweet bread, looked through my cookbooks, read the ingredients list of King’s Hawaiian Sweet Bread, and asked some older Chamorros. I found a couple of recipes for Portuguese sweet bread. Those original recipes didn’t turn out quite right. 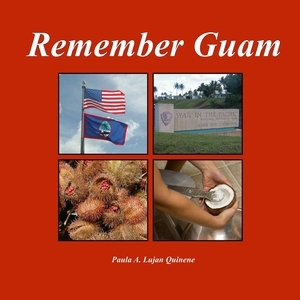 The directions for shaping the bread were different from the shaping of Chamorro sweet bread. I made my adjustments to the ingredients / directions. I think the secret ingredient is mashed potatoes! So, here is my rendition of Chamorro sweet bread. Careful, they are addictive! 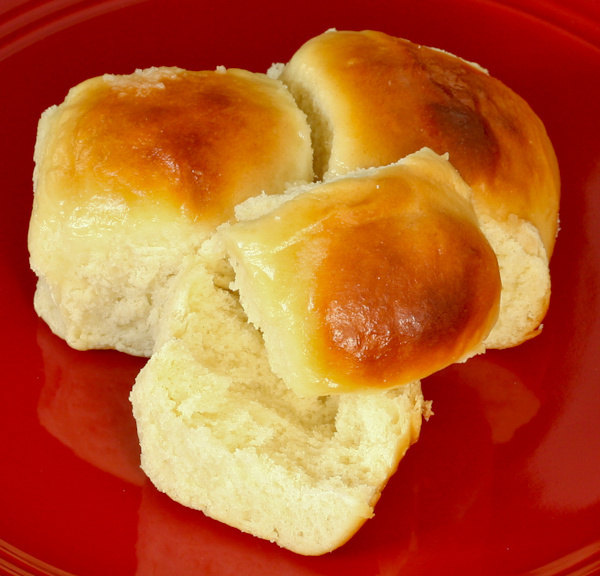 The rolls are a bit dense though moist; it is soft, but not as soft as King's Hawaiian Rolls. I prefer to use my digital scale to help make the balls of dough as similar as possible. I measure each ball to 1.5 oz., about the size of a golf ball. This fills one 9x13 and two, 8x8 pans, yielding approximately 56 rolls. I used glass baking ware, though I’ll have to try lining a half soda box with heavy-duty foil to see how it turns out. There are several ways to roll out the dough into balls. I learned to use both hands at the same time. Place the ball of dough on a clean surface. Hold hands as if to pray. Open hands over the dough to encircle it. Being sure to feel the dough against your palms, quickly move palms in a clockwise fashion. This takes a bit of practice so watch the video below before making the bread. 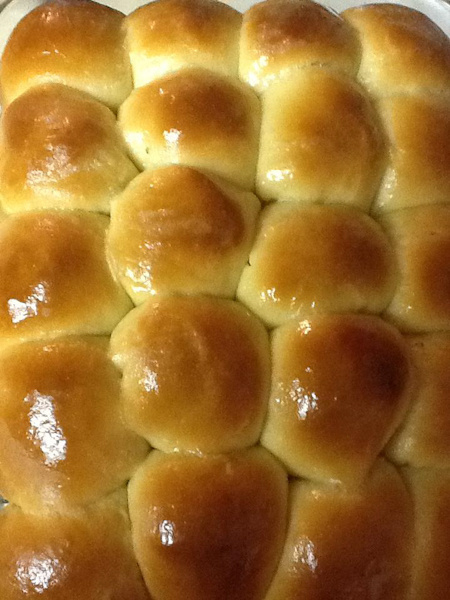 from a fan: "just wanted to show you how my bread came out using your recipe...sooo good! Thanks for sharing your recipe..also love the video with your tips! 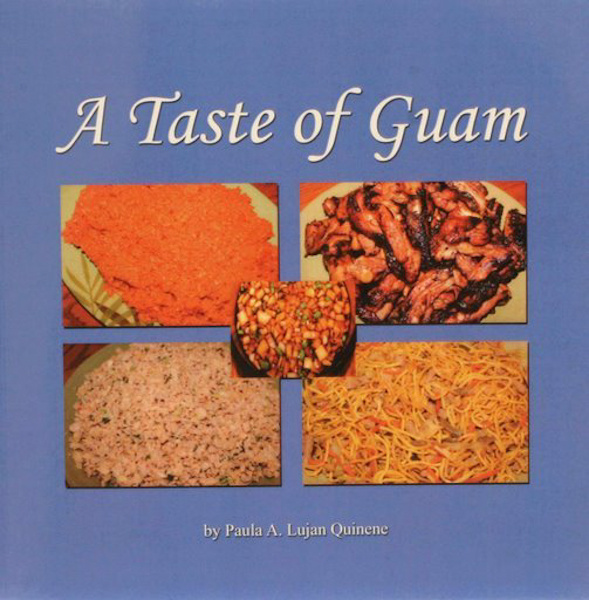 from a fan: "Oh by the way Paula thanks for the sweet chamorro bread recipe. It was so delicious my men loved it too..."
from a fan: "thanks for the sweet bread recipe it came out really good my friends n family loved it made it for xmas dinner"
"....sure wish I knew how to do it then cause I decided to make this when I was on vacation last month.. I aced it too....asked me when I'm making it again.. hehehe..."
Fan photos by K.Q. and A.B. 1. In a medium bowl, combine warm water, yeast, and ¼ cup sugar. Stir to mix. Set aside in the oven, with the oven LIGHT turned on, till foamy, about 15 minutes. 2. Mix the mashed potatoes, milk, and salt in a small bowl. Set aside. 3. In a large bowl, beat the eggs and 1 ¾ cup sugar till light in color and doubled in volume. Slowly add the melted butter, beating till well combined. 4. Spoon the mashed potato mixture into the yeast. Stir thoroughly. 5. Pour the potato / yeast mixture into the eggs-sugar-butter bowl. 6. Whisk till well combined. Transfer into a large bowl. 7. Using one hand, incorporate the flour into the liquid, about 3 cups at a time. 8. Thoroughly knead the dough in the container to incorporate all ingredients well. 9. Lightly coat a large bowl with pan spray. Place the dough into this bowl. 10. Lightly coat plastic wrap with pan spray. Loosely cover the dough. 11. Place in the oven with the oven light turned on. Allow dough to rise for one hour to 1.5 hours. 12. Punch down dough. Knead for 10 minutes. 13. Put dough back into oven and let rise for another 1 hour 15 minutes to 1 hour 45 minutes, till dough doubles in size. 14. Punch down dough again and knead for 10 minutes. 15. Prepare each pan with a generous coating of pan spray. 16. Divide dough into fourths. Work with dough one fourth at a time. Keep remaining dough covered in the bowl. 17. Tear off a piece of dough to roll into a ball the size of a golf ball, or 1.5 oz. for those who have a scale. 18. Roll each piece of dough into a ball as instructed in the video. 19. Place balls into pans with about 1/4-inch space in between. Using only one layer, a 9x13 pan holds 24 balls and each 8x8 pan holds 16 balls. 20. Spray plastic wrap with a light coating. Cover the pans with wrap. Place in oven till balls double in size, about 45 minutes to an hour. 21. Remove the pans from the oven. 22. Preheat oven to 350 degrees. 24. Bake bread for 22 to 25 minutes, till golden on top. The 9 x13 takes me 25 minutes in my oven while baking the 8 x 8 one at a time takes me 22 minutes. 25. With a fork, mix soft butter and sugar together to form a sweet spread. 26. Using a pastry brush, apply a light coating of butter n’ sugar. Coating will melt quickly. 27. Allow bread to cool completely. Apply more butter n’ sugar to bread as desired. 28. Bread keeps well covered in the fridge for about 5 days. 29. Reheat in microwave to enjoy with a cup of coffee! Note: You may also melt just butter then brush a light coating over the hot bread. Cool completely. Check this out: I made a batch two days before Thanksgiving one year. It remained soft for Thanksgiving day and nearly a week in total before I had to reheat it in the microwave. I froze half of this same batch once it cooled completely (wrapped twice in plastic wrap then placed into two freezer bags). The day before Christmas, I thawed it out on the counter for Christmas lunch (kept it in the plastic wrap and freezer bags). OMG, it was still soft and moist as is, without reheating, on Christmas day...not as soft as freshly baked bread, but wonderfully great! When reheated, it was sooo delish.